A new flap among conservatives about Republican presidential candidate Marco Rubio's healthcare plan illustrates why the GOP has never been able to unify behind a comprehensive proposal to replace the Affordable Care Act. On Thursday, Michael Cannon of the Cato Institute, one of the architects of the legal strategy to derail the ACA, published an article urging Rubio to abandon the individual mandate that Cannon claims is part of Rubio's brief ACA-replacement proposal. 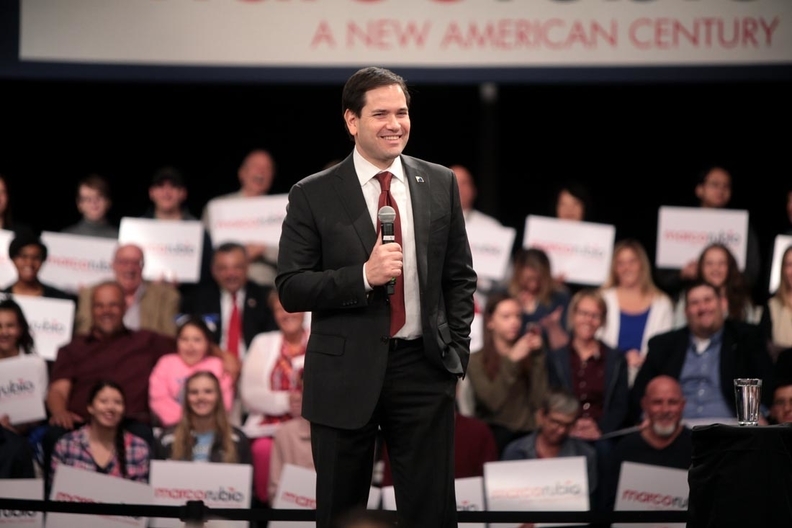 “Where is the conservative outrage over Marco Rubio's health plan?” Cannon thundered. Cannon argued that the Florida senator's proposal to give every American a refundable tax credit for buying health insurance is the equivalent of a mandate forcing everyone to buy coverage. While this argument is not well-explained in his new article, Cannon said in an article last year that Rubio's proposal is just like Obamacare's mandate because “if you choose not to buy a government-designed health plan … the IRS takes more of your money.” He went on to say that under Rubio's plan, the federal government would exercise just as much control over Americans' coverage as it does under Obamacare. While this sounds like a petty squabble, it's not. It demonstrates the central schism in Republican thinking about healthcare reform—between those who believe reform requires substantial government financial aid to help people buy insurance and some degree of regulation to make the insurance markets accountable—and those who reject subsidies and regulation and want to rely solely on market mechanisms. As Ellis goes on to note, a number of conservative healthcare proposals, including from congressional Republicans, feature either tax credits or tax deductions for people to buy coverage on their own—though conservatives are split on how to structure these tax subsidies and how to pay for them. Indeed, tax breaks long have been the main financial mechanism favored by conservative health policy wonks to encourage more people to buy coverage and thus reduce the ranks of the uninsured. On the other hand, Cannon raises valid questions about the potential cost of Rubio's proposal, how it would be paid for and what current health insurance tax breaks it would take away. The candidate has offered few specifics so far. Along with the refundable tax credit, Rubio has proposed a gradual reduction in the tax exclusion for employer health plans. In addition, he would establish federally funded high-risk pools to cover people with pre-existing conditions, let insurers sell plans across state lines and expand health savings accounts. Plus, he has promised to shift Medicare into a defined-contribution, “premium-support” system and convert Medicaid into a capped state block-grant program. On the same day the Cannon-Ellis duel was going on, a group of Republican lawmakers selected by House Speaker Paul Ryan released a 251-word “mission statement” for healthcare reform. Ryan has promised to craft an Obamacare replacement package this year. But if Thursday's vague document—which promises to “empower every American with the ability to gain access to coverage that is affordable and portable”—is any guide, the speaker has a long, long way to go. If Republicans are going to tear each other apart over a relatively modest tax-credit proposal to help people buy insurance, their prospects of reaching agreement on a comprehensive ACA replacement package this year—or ever—would appear to be dim.